Apple has launched the latest update of its Mac operating system. The Mountain Lion software has already received something of a mixed reception from reviewers and some initial frustration from Mac users attempting to download the new software.The downloading issues were a temporary glitch when demand momentarily crashed the app store. The new operating system seems to be heavily influenced by the iOs systems that operate on the company’s mobile devices. It introduces Mac users to Apple's iCloud system, which makes it simple for Mac users to wirelessly integrate all their email, contacts and diary entries across their desktop computers, iPhones and iPads. A dictation feature allows users to dictate their emails, Facebook updates and social media entries. 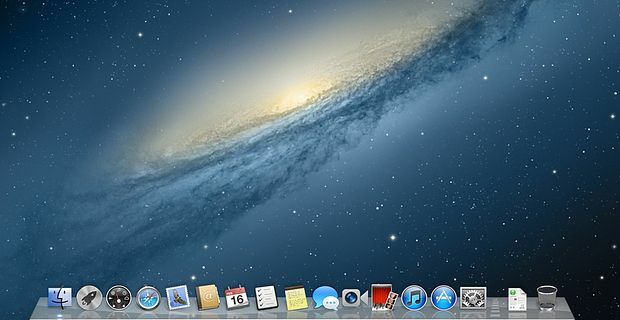 "People are going to love the new features in Mountain Lion and how easy it is to download and install from the Mac App Store," said Philip Schiller, Apple's senior vice president of worldwide marketing, perhaps a little prematurely given the problems that initial downloaders experienced. "With iCloud integration, Mountain Lion is even easier to set up," he added, "and your important information stays up to date across all your devices so you can keep editing documents, taking notes, creating reminders, and continue conversations whether you started on a Mac, iPhone or iPad." Critics were divided about whether the new system was a subtle improvement on previous software or a somewhat forceful attempt to integrate iOs features into the Mac operating system. The Mountain Lion software update is retailing at £13.99.